The Bermuda Casino Gaming Commission announced its working collaboration with Bermudian owned firm, ADL Compliance Limited, to ensure the right protections are in place to move the Island’s gaming industry forward. Managed by Ms. Lanan Bascome, ADL is a consultancy firm which handles areas such as compliance, operational risk management and anti-money laundering/anti-terrorist financing. Ms. Bascome, who has more than a decade of financial industry experience, having previously been employed with the Bermuda Government, HSBC Bank Bermuda Limited, Butterfield Bank and the Bermuda Monetary Authority, said it was “humbling and gratifying” to have the opportunity to work in “such an exhilarating industry as gaming from the ground up [as it develops]”. “Our enthusiasm was only enhanced by the fact that from our very first meeting, the Commission, and its staff, have been most welcoming. From the outset, they made us feel like part of the team and we knew that this would be a great organisation to collaborate with,” Ms Bascome said. Starting in March, ADL has worked to complete full and comprehensive background checks on individuals associated with the local gaming industry. These include criminal, civil and credit checks, media and social media vetting as well as investigations that delve into each individual’s private affairs including professional and personal associations, financial, marriage and employment history. 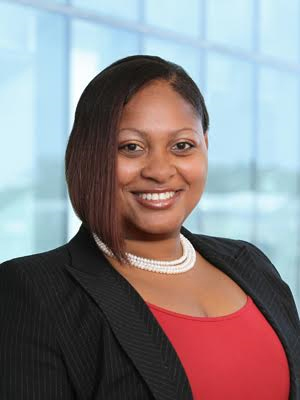 According to Ms. Bascome, background vetting is designed to give comfort that persons involved in Bermuda’s gaming industry are of the highest levels of integrity. ADL Compliance Limited must also ensure that there are no proceeds of crime involved in the acquisition of the wealth of each person searched. “These background checks are of paramount importance because people employed in, or working with the casinos and gaming industry in Bermuda will have access to financial assets and complex technology,” she explained. Richard Schuetz, the Executive Director of the Bermuda Casino Gaming Commission, said it was the Commission’s priority to work with local businesses wherever possible. Ms. Bascome said that ADL Compliance’s staff had fully embraced the challenge of applying their previous experience to this new industry in gaming. Our staff members are expanding upon their knowledge of the gaming industry by enrolling in classes at University of Nevada, Las Vegas, which relate specifically to the regulation and background investigations of casinos. She sees it as a great sign that the Commission is committed to hiring Bermudians to assist in the development of this industry. This collaboration is “imperative to the ultimate success of the industry as we seek to make it a uniquely Bermuda gaming industry that works in our economy with the infrastructure, resources and intellectual capital that reside here or can be developed here,” she said.